UPDATED – At 3:50 p.m. on Sunday, June 11, 2017, inmates Harvell and Bear were safely apprehended without incident after being located in Capital Forest, approximately six miles north of Cedar Creek Corrections Center. Both men are pending transfer to a state prison facility and medical treatment for minor injuries sustained while escaping. The Department of Corrections worked in close partnership with other law enforcement, including the Thurston County Sheriff's Office, and greatly values and thanks its law enforcement partners. The Department also thanks the many individuals who provided tips to the phone lines. 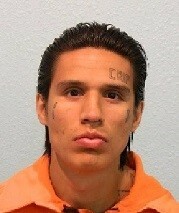 LITTLEROCK – Washington State Department of Corrections and local law enforcement are searching for two inmates, Richard Harvell, 30, and Sage Bear, 26, who escaped from Cedar Creek Corrections Center at approximately 9:40 p.m. on Saturday, June 10, 2017. Correctional employees initiated inmate recount of the entire facility and escape procedures at approximately 10:00 p.m. on June 10. The facility notified local law enforcement and activated Inmate Recovery Teams. Harvell was convicted of unlawful possession of a firearm out of Snohomish County and began serving his 44 month sentence on March 15, 2017. His expected release date had been tentatively set for March 19, 2019. 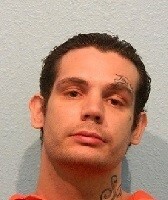 Bear was convicted of manslaughter 1 out of King County and began serving his 130 month sentence on January 27, 2009. His expected release date had been tentatively set for July 9, 2018. If you see either inmate, do not approach him and contact the Cedar Creek Corrections Center at (360) 359-4100 or Call 911. Cedar Creek Corrections Center is located near Littlerock, Wash. and houses approximately 480 minimum custody male inmates.